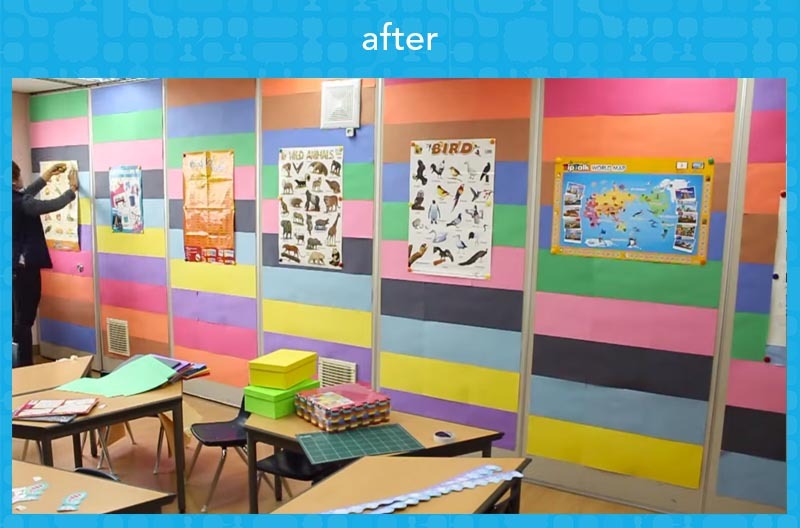 4 Classroom Makeover Tricks That Any Teacher Can Do! Looking to inject some life into your classroom this year? Here are some tricks that can help. All the projects below are quick, easy, non-permanent fixes for teachers on a tight budget! For this you will need some sticky contact paper, some spray paint and an outdoor space. Amazon have a great range of decorative contact paper. Check out Theresa McCabe’s blog for guided instructions and for design inspiration look no further than… Pinterest! 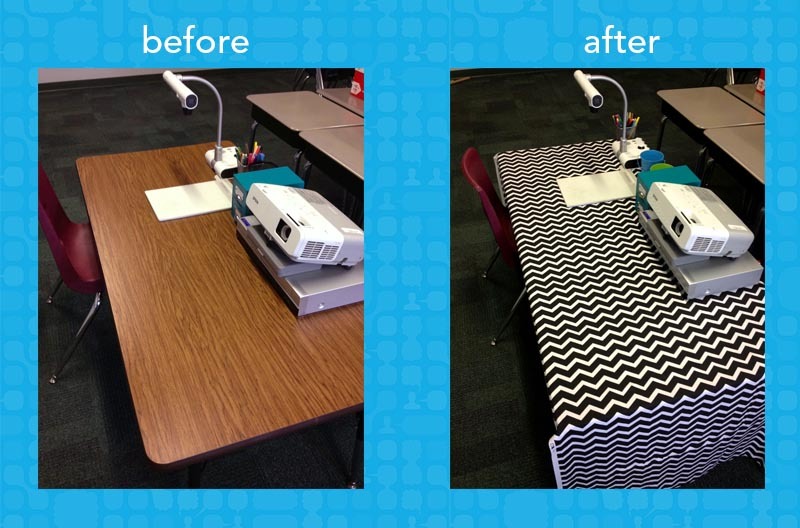 When redecorating a classroom, contact paper is your best fiend. 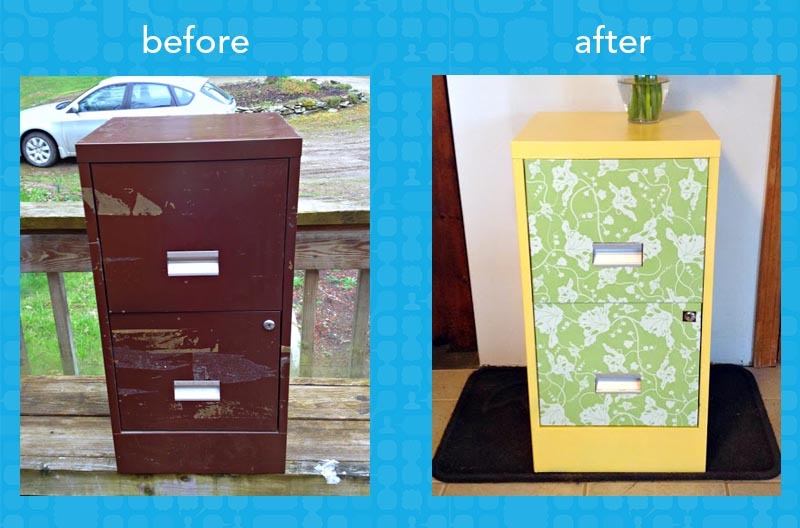 Ms. W used it to brighten up dark brown desks – a huge improvement and it can always be removed later. Glenn GoGo is an English teacher in South Korea. 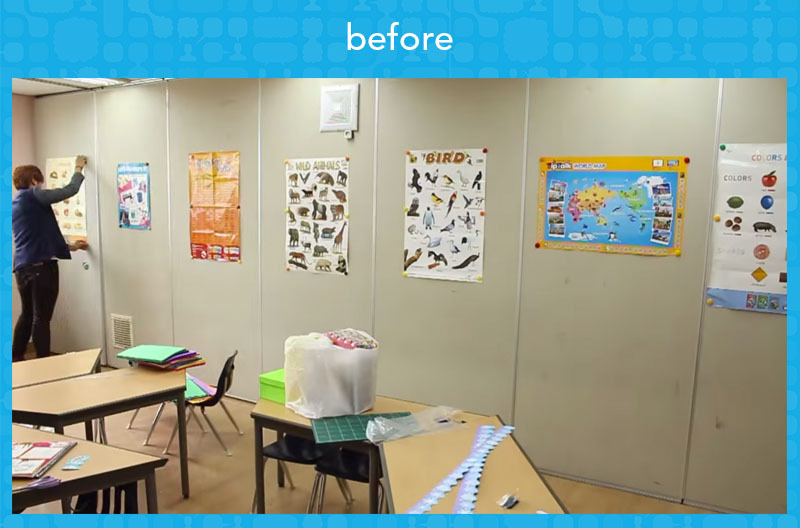 He documents his adventures on Youtube where you can find his How to Make an Ugly Classroom Beautiful video. In the video he shows how to decorate a boring pin board. Coloured paper/card, sticky tape and some thumb tacks. A fresh design using a common technique. Ms. Lehan is a 4th grade teacher from Michigan in the United States. While decorating her room she wanted to give her desk a bit of character and hide all those electric cables hanging underneath. Ms. Lehan used chevron fabric and Scotch brand foam mounting tape on the edge of the table to secure the tablecloth. You can purchase the chevron fabric via Jo-Ann Fabrics (according to my friend Grechen, you can usually find an online coupon code for a discount!). Otherwise, local stores sometimes have sales on the weekend. A great way to remind students of our class values! Remember how I said contact paper is your best friend? Well it’s back in the form of chalkboard contact paper. 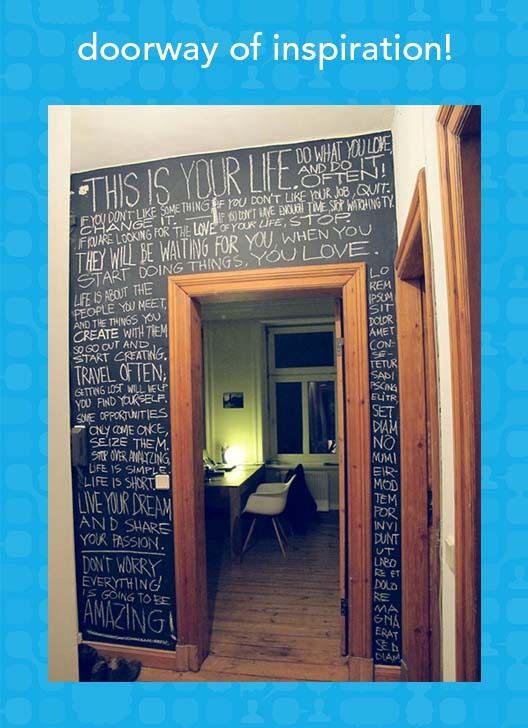 Tumblr user Aufschnitt/ created this wall of encouragement/inspiration. Added bonus, your students can change the design whenever they feel like it! You could even theme the board on your current studies eg. a poem, math theorem, excerpt from a book or favorite quotes. Do you know any other easy craft tricks? Let me know in the comments and I’ll add it to this list!